Good intentions are not good enough. We need a different framework for thinking about poverty. Rather than simply defining it as a lack of material things, this approach addressed the roots of the issue: broken relationships with God, self, others, and the rest of creation. What does this mean for your church's short-term mission trips to materially poor communities? Helping Without Hurting in Short-Term Missions: Leader's Guide guides team leaders through the process of planning and executing effective short-term trips, both international and domestic, by blending research, and reflective questions. 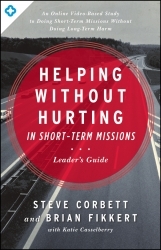 Based on the core ideas in When Helping Hurts, this two-book guide with free, online video content equips leaders to design healthy short-term trips and shepherd team members toward lasting engagement with missions and poverty alleviation. 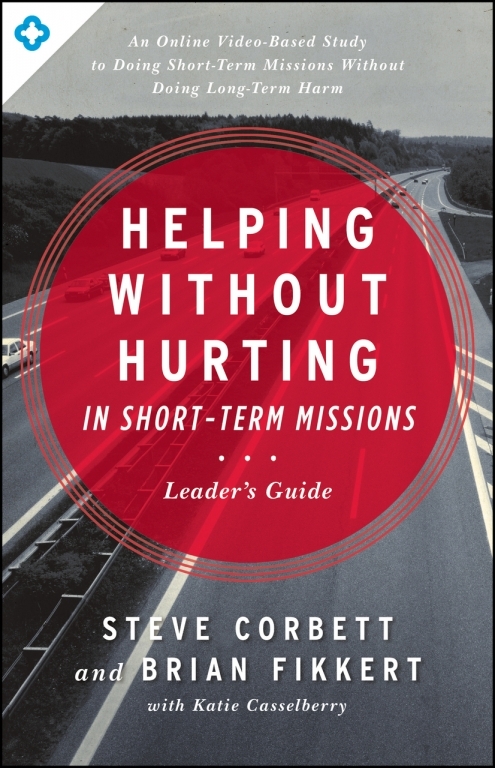 This is an ideal resource for church leaders missions directors, and youth pastors who are seeking to move beyond good intentions, doing short-term missions without doing long-term harm. What really sells me on these materials is that they address what to me is the #1 question for STM participants: How do we make sure the two-week mission experience turns into a long-term commitment both to the project we visited and to serving in the communities where we live? - Kurt Ver Beek, PhD, professor of Sociology at Calvin College. This book furthers the discussion about effective gospel-based poverty relief strategies by translating the grand compelling vision of When Helping Hurts into clear, actionable steps for churches. - J.D. Greear, PhD, author, Gospel: Recovering the Power That Made Christianity Revolutionary and Breaking the Islam Code. These principles will help the church move beyond good intentions and toward a discipleship model that equips team members to become lifelong missionaries wherever they are, encourages partnership with local churches globally, and truly helps advance the work of God globally. - Jeff Ward, Director External Focus at Watrermark Community Church.